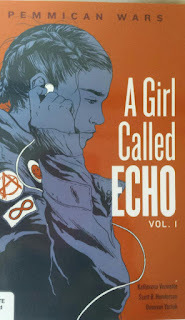 American Indians in Children's Literature (AICL): Apple, Echo, and the Importance of “More Than One Book"
Apple, Echo, and the Importance of “More Than One Book"
Right now I’m revisiting that point -- yet again -- via two recently published books with contemporary Native teen girl protagonists. 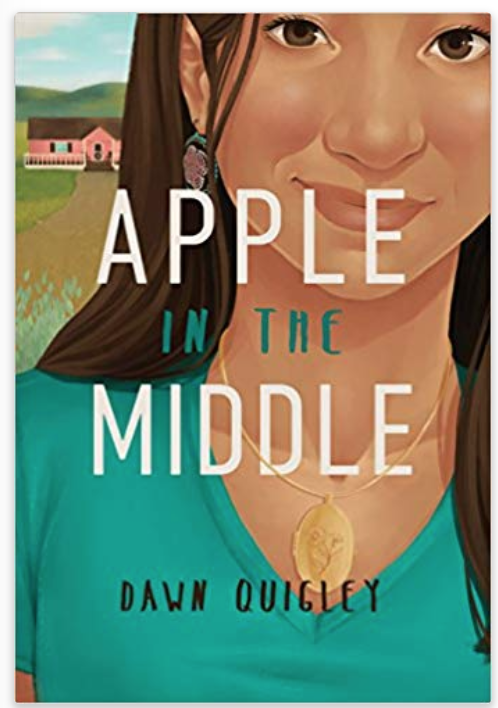 Dawn Quigley’s (Turtle Mountain Chippewa) debut novel Apple in the Middle (2018) is set in Minnesota and the Turtle Mountain Chippewa reservation in North Dakota. 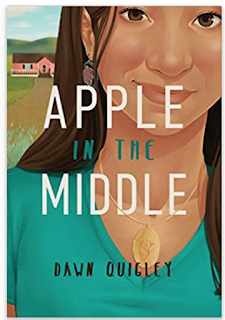 The protagonist, Apple, meets her Native family members for the first time, the summer after her sophomore year in high school. Katherena Vermette’s A Girl Called Echo: Pemmican Wars (2017) is a graphic novel. Echo, the main character, is 13 years old. She is Metis, as is Vermette. The story is set in Winnipeg, Manitoba. Apple’s mother, who was Turtle Mountain Chippewa, died after giving birth to her. Apple grew up with her dad and stepmother (both white), in their upper middle class suburban world, where she feels like she never quite fits. She carries a sense of guilt for her mother’s death. She’s a bit prickly, and more than a bit socially awkward. Since an incident of open racism during grade school, she has tried to look as white as possible. Her father’s reluctance to tell her about her Native family hasn’t helped. As a narrator, Apple has a lot to say. She can be rude, impulsive, and loud, with a biting sense of humor, but she begins to dial it all down somewhat as she gets to know her Turtle Mountain relatives. Apple may feel that she's constantly running, but Echo’s days in Pemmican Wars seem to involve just putting one foot in front of the other, with tremendous effort. Unlike Apple, Echo is nearly silent. She’s emotionally isolated at school and in her foster placement, and moves as if something is draining all her energy. She spends most of her time with her earbuds in: Guns n Roses, Red Hot Chili Peppers. The only time we see anything like a smile on her face is when she finds some graphic novels about Metis history on a library shelf. She’s in a new school and knows nobody, though her history teacher seems to “see” her. When she falls asleep, she dreams herself into events from First Nations history, and it’s in those dreams that she seems to feel most alive -- and where she has a friend. The changes Apple and Echo go through in their respective stories are very different from each other, though both characters move toward a stronger sense of who they are, and what being Indigenous means (or can mean) to them, as they deal with racism, school, family issues, and so on. Young people deserve to get to know both of them. Their stories belong on the same shelves (and in the same gift bag!) with Cynthia Leitich Smith’s 2018 release, Hearts Unbroken, whose protagonist Louise faces the effects of personal-level and community-wide racism while navigating peer relationships and romance during senior year. Three brand-new, strong Indigenous female teen main characters -- now there's a gift for your students, your teen patrons, your children, and your grandchildren! 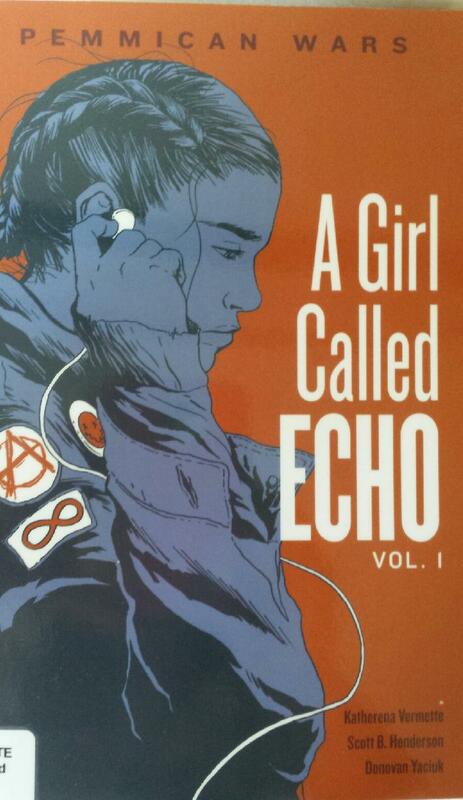 I can second your thoughts on "A girl called Echo". It's sad, but there are still a lot of lovely moments. I think, also sadly, a lot of Native teens will be able to see themselves in her.